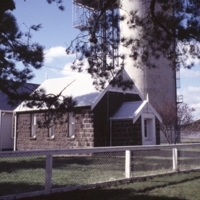 Small bluestone church with cream brick belcote and window trims that suffered some damage in the January 1985 fires. Former Methodist Church dating from 1869. An important landmark located near the Little River railway station complex. 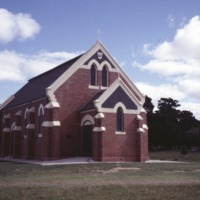 A simple red brick church built in 1857 with a timber bell tower.